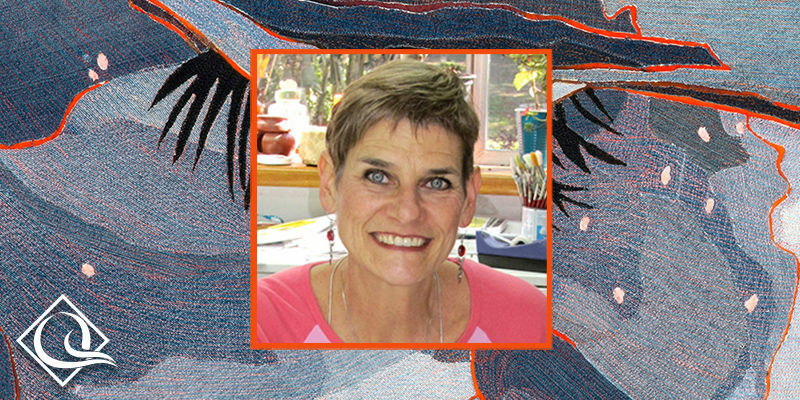 Jane Sassaman is an artist, educator, author, and fabric designer. 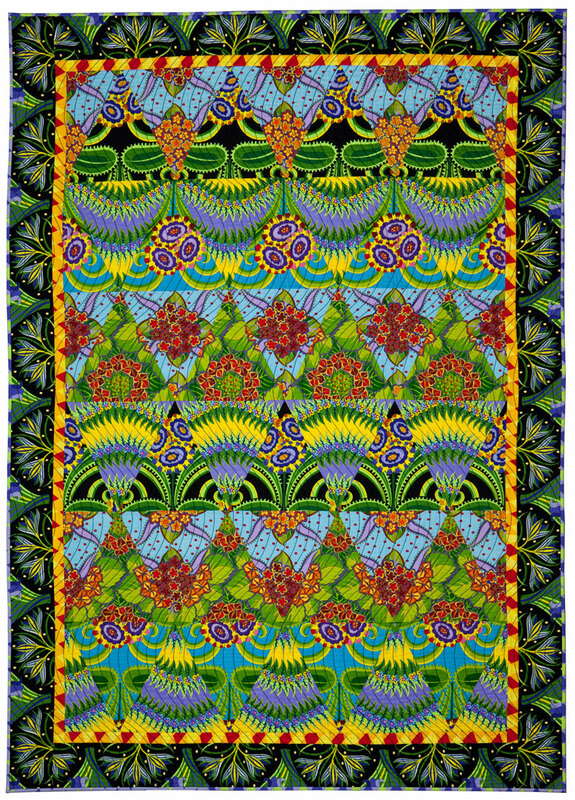 Her innovative quilts have been shown in many national and international exhibits, including Quilt National 1989 through 2005 and Contemporary American Quilts, the first major exhibit of American contemporary studio quilts in England. 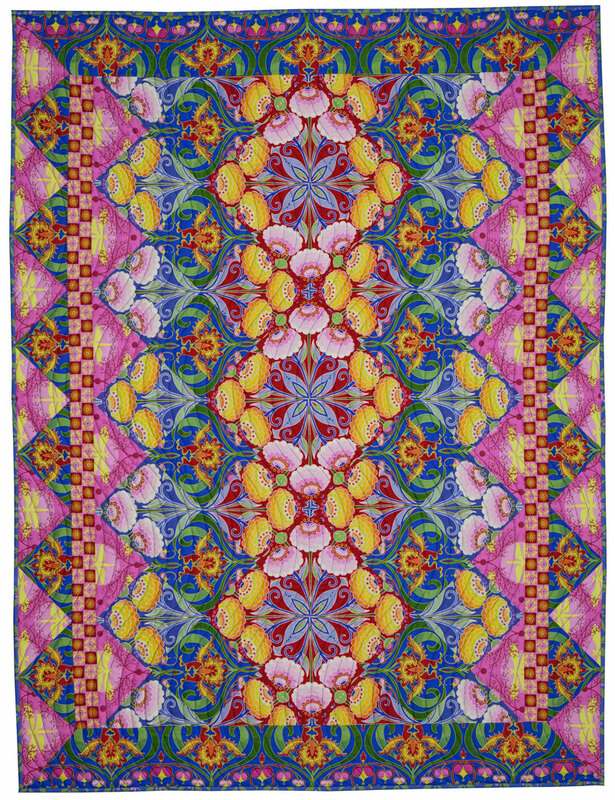 Her quilt "Willow" was named as One of the One Hundred Best American Quilts of the Century. 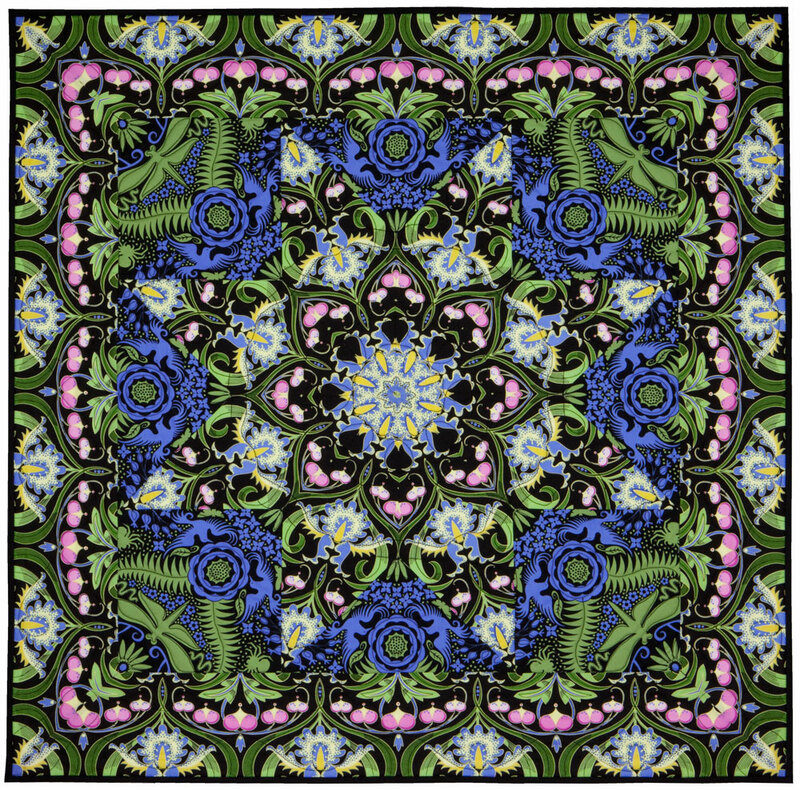 Jane's love for historic decorative arts can be seen in all facets of her work, but it is especially evident in the exuberant fabric she is currently designing for FreeSpirit. Her latest book, Patchwork Sassaman Style, beautifully illustrates her fabric "in action." This exhibit is curated by Qin Zhang. 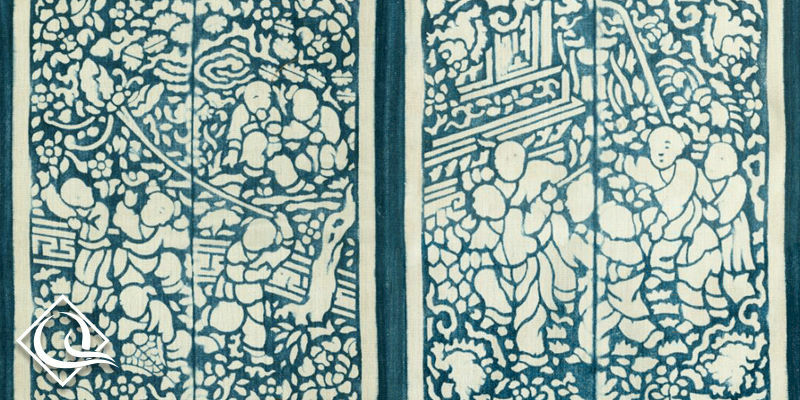 Jiaxie was an incised wooden block textile dyeing technique that was in vogue in Tang Dynasty (618 AD-907 AD) in ancient China. It was widely used throughout East Asia in antiquity. Specimens of early Jiaxie can only be found in few well-known museums, such as the British Museum in UK and Shosoin in Japan, as their treasure textile collections. In the 19th century, the color of Jiaxie in China remained only blue and the material evolved from silk to cotton. As a result, Jiaxie had become Lanjiaxie (Blue Jiaxie) and from luxury goods for royal family to ordinary people’s commodity. In Southeastern China, however, Lanjiaxie became a special quilt cover for marriage, which played an important role in local people’s life. A set of special etiquette, production process and use customs were designed and the patterns or images on quilt covers were usually from the Chinese ancient dramas of romance, such as hero and beauty, gifted scholars and nice ladies, indicating people’s wish and desire for love and better life even in the old days when there was no freedom for love or marriage. Finalists and winners from the annual competition are showcased along with traditional examples featuring the theme of the Oak Leaf and Reel piecework. This exhibition is Hollis’ personal interpretation of everyday life in West Africa. Having lived in this part of the world for twelve years, her approach is one of observation and respect. Hollis’ choice of medium relates to her background and the culture she encountered. Her use of textiles conveys the warmth of this society. The quilting becomes the heart and soul of the people and is the key to her interpretation. 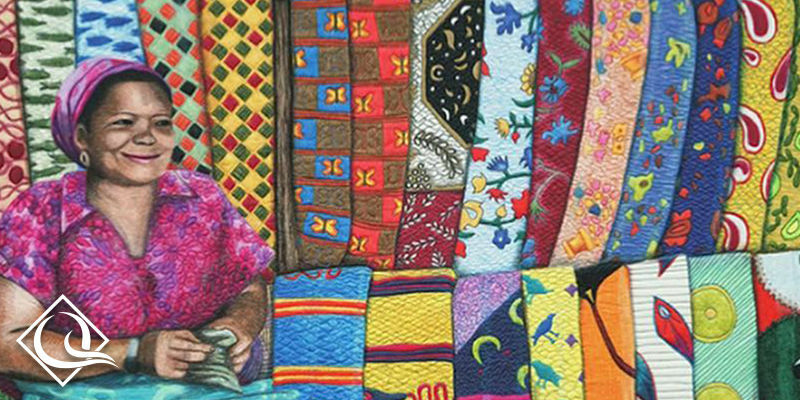 Fifteen art quilts portray the rich African culture and the strong sense of community and family unity. 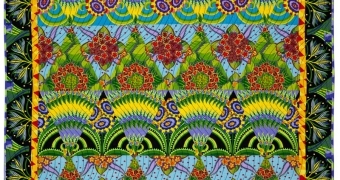 The background of each quilt is inspired by the beautiful and decorative fabrics which are omnipresent in West Africa. Hollis started with photographs she took while living in Togo, Burkina Faso, Mali and Benin. From these photos, she drew the original illustrations for her coloring book “Stories of West Africa”. This exhibition was created with the intention to share Hollis’ love for this little known but captivating region of Africa. Individual signage tells a short story about each textile piece, inviting the viewer to learn more about the people, traditions, and textiles of West Africa. On the day The National Quilt Museum opened in 1991, our entire collection included 85 quilts that were on loan from the founders. Over time, our collection has expanded and today it exceeds 600 works of art. This exhibition highlights our newest acquisitions of phenomenal works of fiber and quilt art. 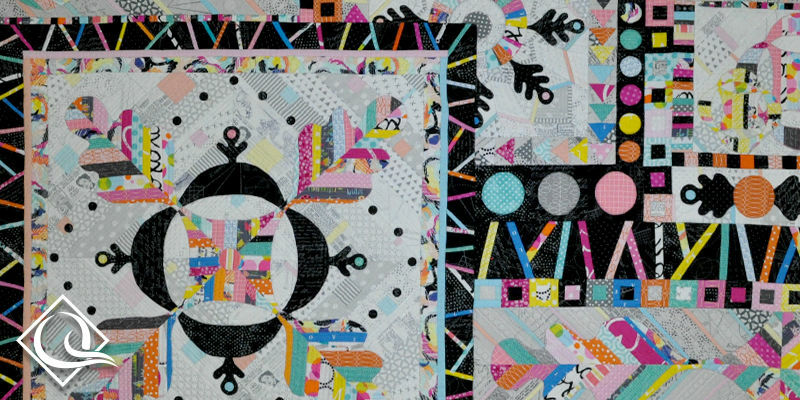 Why do artists from all over the world submit their quilts as potential acquisitions for our collection? First of all, preservation is always our foremost concern, but it is only part of the benefit of having your quilt selected for our collection. Secondly, the attention your quilt will receive is unbelievable. Each year our collection can be seen by over one million people, both in person and online; through our gallery and traveling exhibitions; print and digital promotions and publications; and educational programs and classes for children and adults. Every potential acquisition is reviewed by an acquisitions committee of experts within the quilting community. The museum curator administers the process but is not involved in the decision-making. The acquisitions committee bases their decision on creativity, workmanship, innovation, professional involvement, and value to the collection. In addition, the committee only considers quilts made after 1980. We are happy to consider your quilt for the collection. For more information, please ask to see the curator or go to the website, quiltmuseum.org/acquisitions. 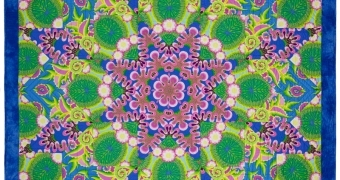 Maybe next year, your quilt will be on exhibition at The National Quilt Museum! 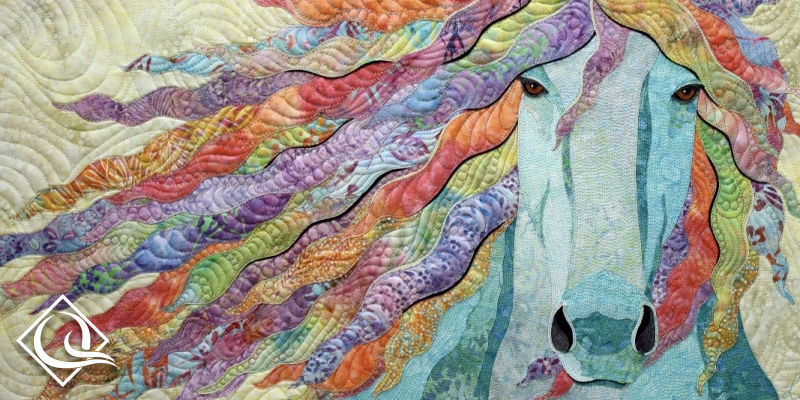 A self-taught quilter, Lise Belanger is an accomplished textile artist right down to her fingertips, and the winner of international quilt contests. Drawing inspiration from the beauty of nature, Lise trusts the “here and now” and gets carried away without ever stopping to question her artistic instinct. She likes to picture her subjects close up, livening up every corner of the quilt, her hands dictated by sparks of creativity. Colours remain at the very centre of her artwork; colours she harmonizes meticulously, in minute detail. 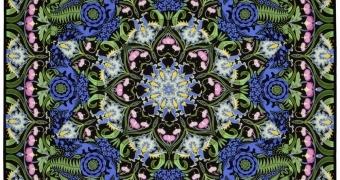 For Lise, precision is the key; a quilt must be as beautiful from afar as up close, must offer a satisfying contemplative experience from all angles. 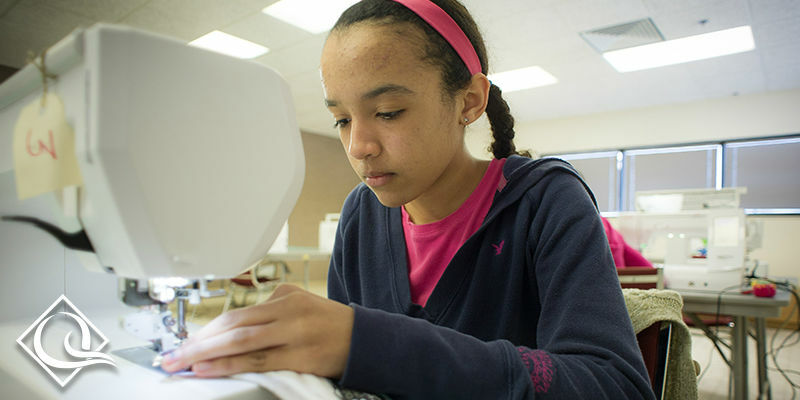 When she sews a new quilt for a contest, she always complies with finishing criteria. But with her everyday creations, which attract a much broader public, she lets her imagination take over to challenge and overstep the rules. She adds her unique unconventional finishing touch, the reflection of her very own “frame” of thought. Go behind the seams and watch her artwork suddenly come to life through the interplay of fabric, texture and thread, right before your eyes. The first American Quilter’s Society show was held in Paducah in 1985. This special exhibit from our collection features over 30 of the AQS Paducah “Best of Show” winning quilts since this show began. 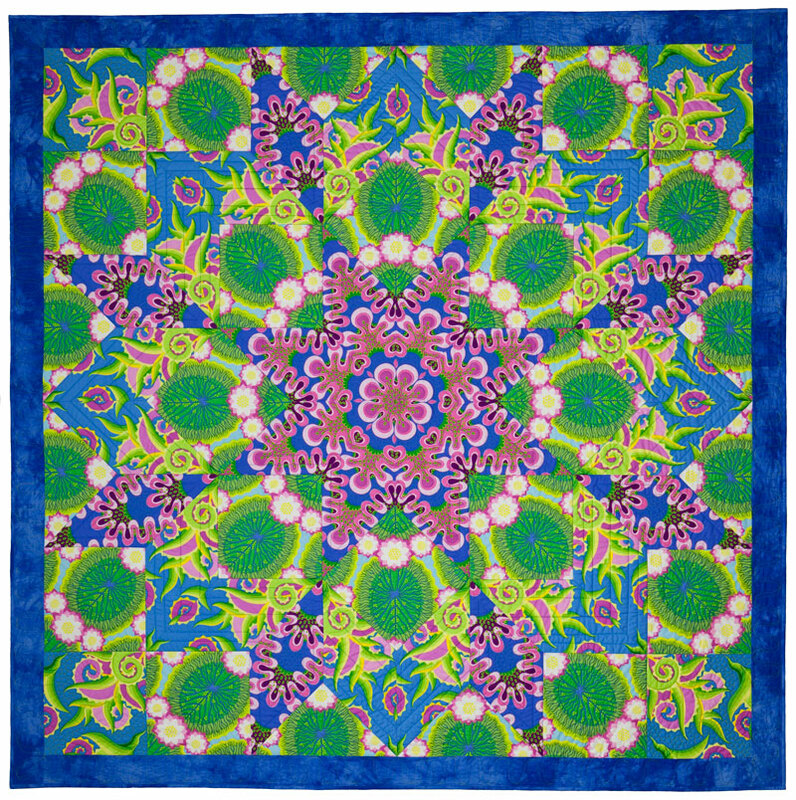 For many years, the top prizes in the Spring Paducah show considered are “purchase awards”… where the winning quilters only receive the prize money if their quilts are donated to the National Quilt Museum. 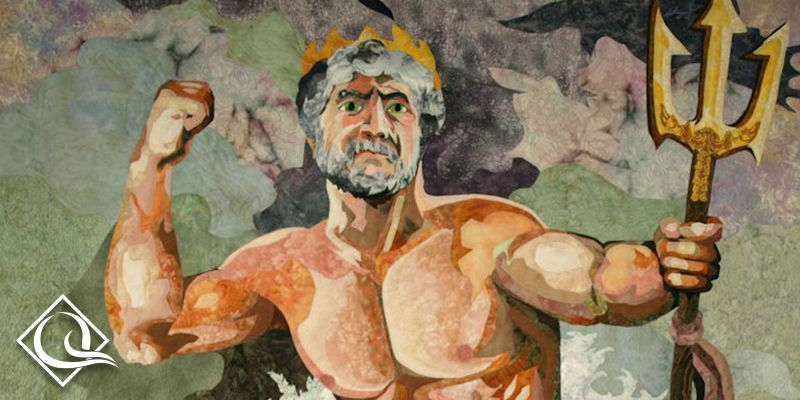 Keep up with the museums efforts to bring quilting to audiences around the world. 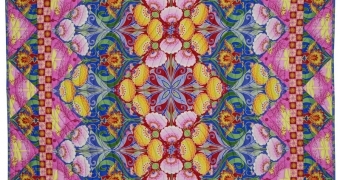 By submitting this form, you are consenting to receive marketing emails from The National Quilt Museum, 215 Jefferson Street, Paducah, KY, 42001, nationalquiltmuseum.org. You can revoke your consent to receive emails at any time by using the unsubscribe link found at the bottom of every email. The American Quilt Society hosts contest exhibits and vendors at the Expo Center for this annual event bringing thousands of quilters and fiber art enthusiasts to town. 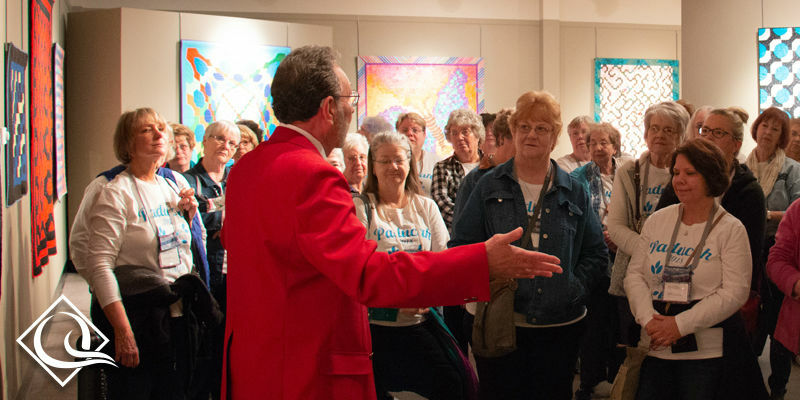 The National Quilt Museum is two blocks from the Schroeder Expo Center in downtown Paducah, and visiting the museum is an AQS-sanctioned event. The Spring QuiltWeek schedule is available on the museum’s website including extended hours, exhibits, and special events. 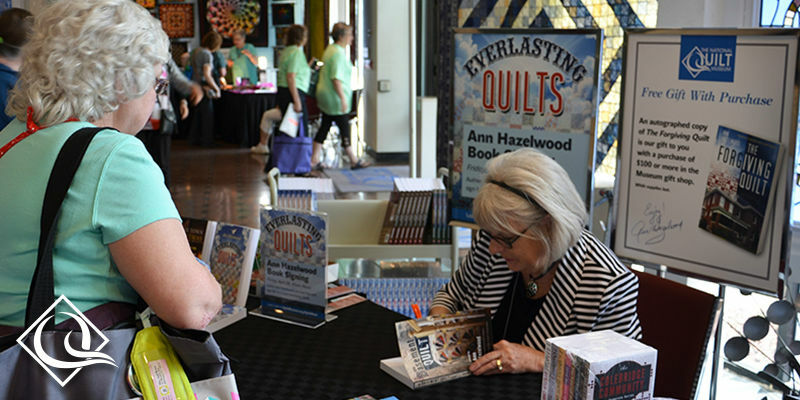 Author Ann Hazelwood will meet fans and sign copies of her books. Ann’s newest series is Wine Country Quilts. 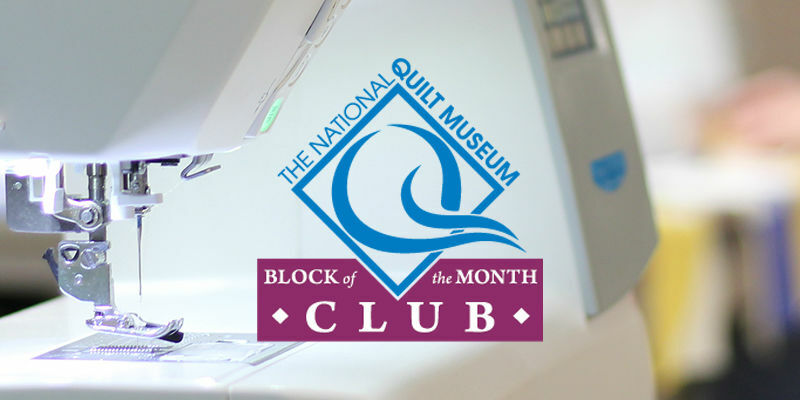 The National Quilt Museum’s Block of the Month program invites quilters from all walks of life to connect and engage while creating their own 12 block sampler modeled after some of the finest and most high profile fiber artistry in the world. 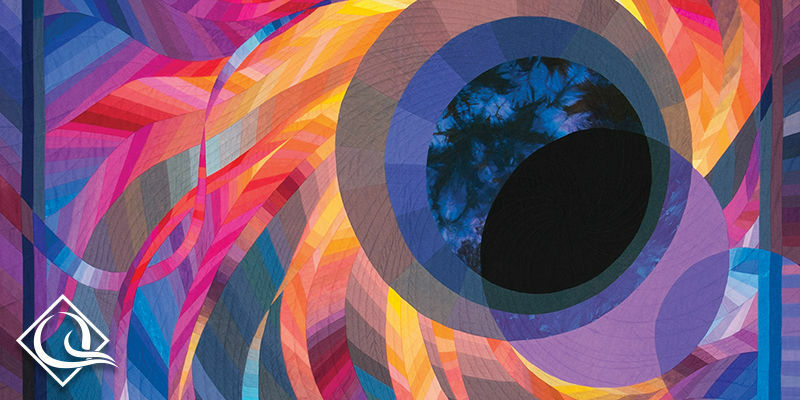 Each month, participants will gain access to an exclusive pattern that represents an exhibit currently on display at The National Quilt Museum, challenging quilters of all levels to experiment with new techniques and expand their horizons as a modern quilter. On the first of each month from April 2018 to March 2019, a new block pattern will be released on Facebook and the museum’s website. Meeting for current volunteers and those interested in helping at the museum. The Museum is delighted with the success of our Junior Quilters & Textile Artists Club (JQTA), which normally meets on the first Tuesday of the month from 2:30 – 4:30 p.m. These young ladies and gentlemen are exceeding our expectations and fulfilling their own goals of becoming great quilters and textile artists. Young aspiring quilters and textile artists are invited to join. In this workshop, you will learn how to paint images with Procion dyes on cotton. Learning to control the dyes will be emphasized. Among other things, we will cover blending, layering, special effects, and painting without bleeding. All of these techniques can be used to create images as complex as portraits or as simple as a line on a scarf. Additionally, we will explore new ideas about how to use quilting to enhance the look of your painted cloth. The main objective is to use quilting lines to create depth, texture, tension, or shadowing which will give a new dimension to your quilt. Paid in part by the Kentucky Department of Travel & Tourism. 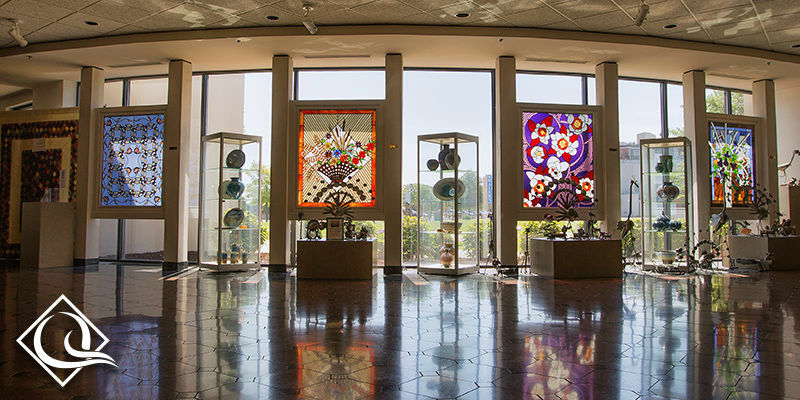 The Kentucky Arts Council, the state arts agency, supports The National Quilt Museum with state tax dollars and federal funding from the National Endowment for the Arts.